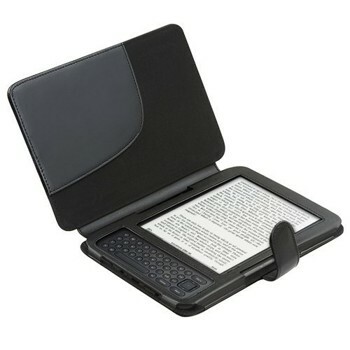 Not in a mood to browse and sort through hundreds of cases to find the best Kindle keyboard case? Not only it’s time-consuming, but it can be a daunting task as so many brands are out there besides Amazon selling cases with similar features. That’s why we have boiled it down to just top 5 best Kindle 3 cases. Of course, when it’s about choosing cases for your Kindle device, everyone has their own taste. Here we have tried to pick up cases which offer all the required features. This ultra lightweight Amazon Kindle case cover is designed for the 3rd generation Kindle with 6 inches display as well as for Kindle Keyboard. 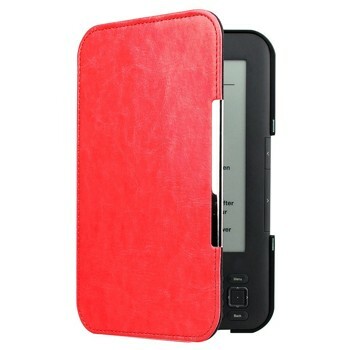 Therefore, if you are looking for a Kindle 3 case, this could be the right choice for you. But, it does not fit Kindle Voyage, Kindle Paperwhite or Kindle 7th generation with 6 inches. Made of high quality PU leather which is water resistant too, this case perfectly saves your device from any damage. Designed with a magnetic clasp, this case secures the device in a safe place. Moreover, the case is designed in a way that all the features can be accessed without removing the device from the cover. 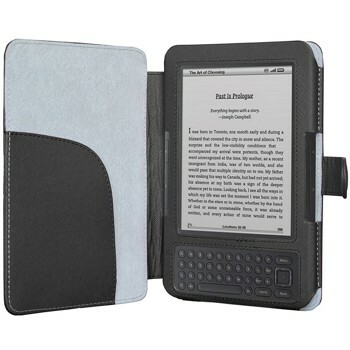 Designed with a Genuine PU lightweight leather for kindle paperwhite devices. It is an amazon kindle keyboard which is fit with the 3rd generation Kindle devices. Especially for model no. D00901 it is designed. Perfect fit for a 6-inch display device. The exterior leather is protected kindle paperwhite from water, yes it is water resistance. Internal leather is soft which protect the keyboard from scratches. Closure of the case is with a magnetic clasp. Without straps, it is much safer with magnetic close. The slim and lightweight product which comfortable while reading. WALNEW gives you a lifetime warranty for the case. 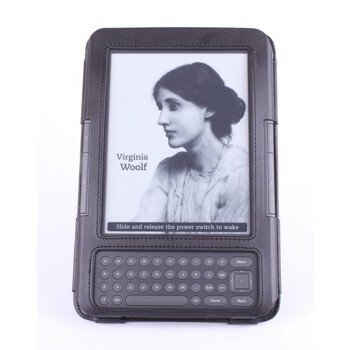 As Kindle Keyboard has released for several years, some of the cases are already sold out. However, I will keep tracking on them, and update the order links once they are available again. 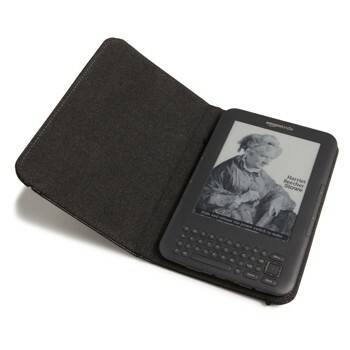 Updated in 2011, this official Kindle case is designed to fit the Kindle Keyboard. Made of pebble-grain, contoured leather and soft microfiber, the suede interior of the Kindle 3 case protects the device from scratches while the external strap along with the hinges keep it securely reducing the chances of accidental slip-offs. This lightweight case is easy to carry. As it can be easily folded, too, the user will have little trouble reading the Kindle in one hand. Specifically designed for 3rd generation Kindle Keyboard, this is one Kindle 3 case that doesn’t only suit the budget, but also serves the purpose perfectly. The slim case is made of premium quality PU leather and features a classy matte texture. 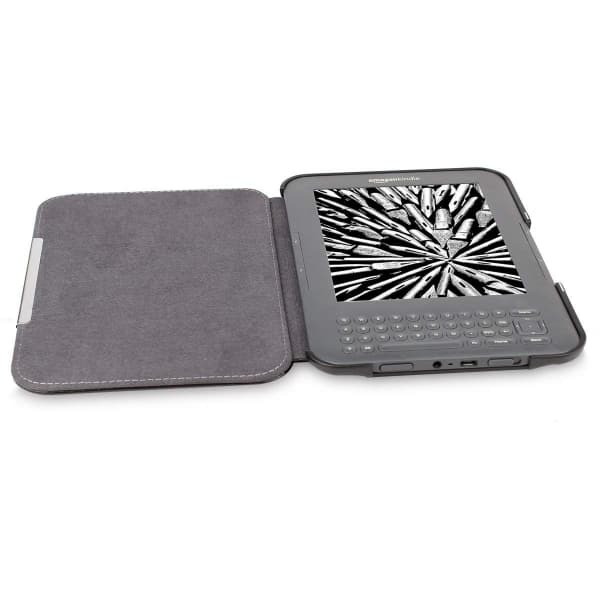 The Origami cover fold allows user to stand the Kindle in different positions – landscape, typing or standing according to the requirement. It does not fit any other Kindle devices except Keyboard 3. Genuine leather made flip case for Kindle 3 Keyboard is for those who like to carry their device in style. 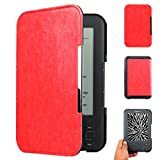 Available in three colors, this Kindle 3 case comes with a multiple position stand ensuring comfortable reading irrespective of the angle or position. The suede interior protects the device from scratches. This Kindle Keyboard case is for those who don’t want to spend much on their Kindle accessories, yet, yearn for a nice option. Made of smooth synthetic leather, this cover ensures easy access to all the buttons, ports and features of the device without any hassle.